Thousands March in Cuba for Last May Day with Raul as President. On International Workers Day thousands of Cubans showed their commitment for the Cuban Revolution. Thousands of Cubans gathered in Havana Monday to show their support for the Cuban revolution and mark International Workers’ Day with a massive march. The ceremony and parade at the iconic Jose Marti Revolution Square were headed by the secretary-general of the Cuban Workers’ Confederation, Ulises Guilarte, and Cuban President Raul Castro, who will leave office next February, making this May Day his last as president of Cuba. In addition to marking International Workers’ Day, the thousands-strong march also demanded the end of the U.S. economic, financial and commercial blockade against Cuba and the return of the U.S military-occupied territory of Guantanamo Bay. 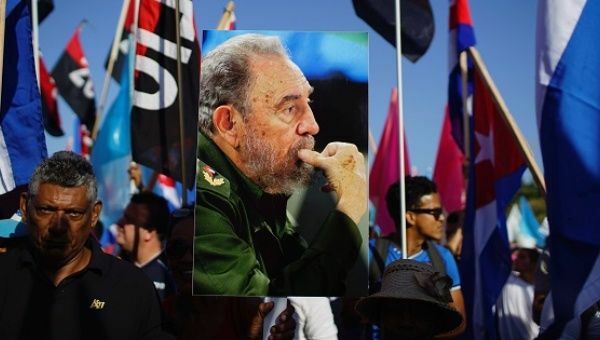 Young people carried signs that read “I am Fidel” with pictures of the former president of Cuba and head of the Cuban Revolution, just months after his death last November. About 50,000 young people were in the plaza, according to Granma, leading the May 1 march, which this year was dedicated to the country’s youth. Several groups condemned “The serious crisis in the health system in Chiapas, which today puts at risk the lives of the nurses,” during a hunger strike. 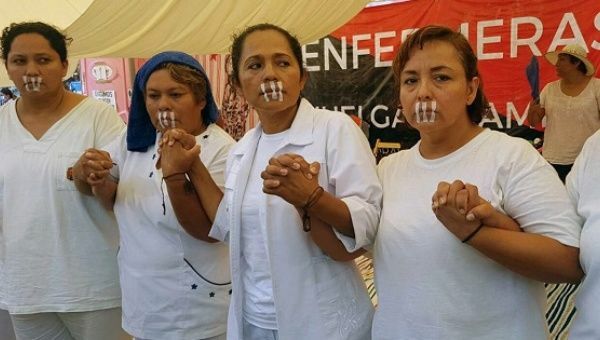 On Tuesday, Amnesty International joined several other human rights organizations issuing public warnings about the deteriorating health of a group of nurses in the Mexican state of Chiapas who are entering their second week of a hunger strike.